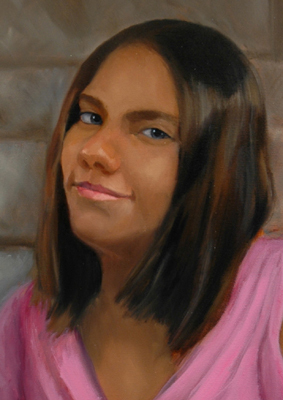 If you would like to see some of the steps that I went through in painting Kasey, click on to the following link. © 2005, 2004, 2003, 2002 Marc J. Surrency. Artist scans, images, and web design are protected by copyright. Physical or electronic reproduction in whole or part is unlawful without written permission of the artist.